Indeed ftse betting is increasing in popularity partly due to the diverse products now being offered by the spread betting companies, but also by new markets which are now developing such as in binary betting with binary bets, or in the more established fixed odds with companies such as bet on markets. Whichever method you choose, and I will cover them all in detail, along with ftse bet strategies, then in order to succeed it is vital that you have a deep understanding of the instrument you are trading which in this case is the FTSE 100 index, and this is where most traders fail. We all think we know what the FTSE 100 index is, but scratch below the surface and even professional traders will have little or no knowledge of how the index is constructed, how it operates, and more importantly its inter-realtionship with the FTSE futures market. So before we rush off to spread bet ftse contracts or develop our ftse trading system, let’s start by taking a deeper look at the FTSE 100 and what makes this instrument so attractive as a speculative instrument to us as traders. Ask anyone in the world to name a principle stock market index, and the chances are that they will come up with the FTSE100 at the top of their list, closely followed by the Dow Jones, with the Nikkei a close third. The reason for this is simple – the FTSE100 is the most widely recognised and reported stock market index in the world, as it represents the public face of the London Stock Exchange, one of the oldest and most revered exchanges in the world. In addition, London is often considered to be the trading capital of the world, and these factors combine to bestow on the FTSE100 a ‘gold standard’ status. Whether you subscribe to this view or not, the fact remains that many of those involved in trading, investing, or speculation, simply take the index at face value, failing to appreciate that the beneath the apparent simplicity of a single market number hides a far more complex and complicated market indicator, and as we will see shortly, all is not what it seems on the surface. For you to be successful in ftse betting, then you will need to have a much deeper understanding of the ftse 100 – it is simply not enough to know that it is a leading indicator of UK equities (which in itself is a myth as we will see shortly). Bet on the ftse 100, or ftse 250 or indeed any other index with such limited knowledge and you will lose. So, what do you need to know before getting started? The short answer is as much as possible, but here are some of the items I propose to cover in the following pages. Firstly, and perhaps most importantly is an understanding of which companies constitute the FTSE100 and how they are selected. Secondly you will need to understand the relationship between the cash market and how the various derivative instruments are created from, and relate to, the underlying cash market, and finally you need to appreciate how the index is calculated and reported, and what the index figure is that you are actually trading, whether this is in a ftse spread betting account, in one of the new binary bets, or perhaps a fixed odds bet. Whichever is your chosen method of ftse betting, the fact remains that just like any other financial market, you need to understand and study the financial instrument you are proposing to trade, and the ftse 100 is no different. Unfortunately the simplicity and popularity of trading this leading index, trap many unwary traders who lose money fast – don’t be one of them. So let’s look in detail at the ftse 100 and scratch beneath the surface of this simple yet complex instrument. The FTSE 100 index was introduced to the London market on the 3rd January 1984, with an initial starting value of 1000, since when the structure and original constituents have virtually changed beyond recognition, with only 21 of the original 100 companies, now still listed in the index. The ftse 100 index itself is calculated using two basic arithmetic principles, with one over arching geographic principle. Firstly, and most importantly, only UK domiciled blue chip companies are eligible for inclusion in the index, which implies that the index is a representation of UK plc – this is certainly not the case as we shall see shortly, and is in fact far from the truth! Secondly, all companies listed in the index are included based on their market capitalisation, ( provided they pass screening approval for both size and liquidity), and finally all constituents are then weighted in order to provide a balanced index. As a small footnote, all companies listed must by law be a ‘plc’ listed company, although in the past there have been exceptions for various historical reasons. The ftse 100 index trades each business day in London between 08.00 am and 16.29, at which point the closing auction starts, with closing values taken at 16.35, and is refreshed and recalculated every 15 seconds during these trading times. The index itself is maintained by the FTSE group, an independent company which started life as a joint venture between the Financial Times newspaper and the London Stock Exchange, and is now universally recognised as “The Index Company”. The group is responsible for, and also maintains, a wide range of indices of which the largest fall under the FTSE All Share Index, which includes the ftse 100, ftse 250, ftse sector350, the ftse small cap index, along with several specialists indices such as those broken down by sector and dividend. All these indices are managed according to a strict set of rules, all of which are overseen by an independent committee of market professionals to ensure that the rules are correctly applied to each index and market participant. In terms of market size, the ftse 100 is by far the biggest, with the index today representing approximately 86% of the UK’s market capitalisation of listed LSE companies. In other words, the thousands of other companies listed on the London Stock Exchange constitute only a paltry 14% by comparison – a truly staggering figure, which I hope puts into context the size of those listed in the ftse 100. So does this mean that the index is a good barometer of the UK economy? – the answer is an empathic no, and here’s the reason why. Despite the fact that the index requires listed companies to be UK domiciled, this does not mean that they earn their revenues from UK markets and in UK sterling. Indeed, quite the reverse is true with a significant number of international shares now routinely listed, with many of these now reporting their revenues in US dollars, and this applies to most of the top ten currently listed. Furthermore in 2008, independent research suggested that approximately 65% of revenues for the ftse 100 companies was derived outside the UK market. With the top ten companies currently listed in order as BP ( no 1) HSBC Holding, Vodafone Group, Royal Dutch Shell A, GlaxoSmithKline, Rio Tinto, BHP Billiton, Royal Dutch Shell B, British American Tobacco and finally Barclays, the largest company that could be described as true UK company would be Tesco plc, currently listed at 12th in the index. More interestingly still is the fact that of the top ten, two are mining companies of truly vast size, with operations throughout the world, and adding their considerable bulk to the other 9 mining stocks in the ftse 100.The last time I looked, mining in the UK was an industry in decline and a fraction of its former size following the virtual closure of our coal mining industry during the bitter disputes of the 1980′s. Staying with the natural commodity theme for a moment, consider the market capitalisation of BP at at number one in the index, which currently stands at £117,465 million, giving this one company a weighting in the index of 8.1%. When combined with Royal Dutch Shell, these two companies alone combine to represent over 16% of the weighted index – again a truly staggering figure. If we then consider that oil and gas companies represent almost 35% of those in the index, then perhaps you can begin to see why the ftse 100 is anything but a UK index. Indeed one could easily make the case that this is an international index, more aligned to the middle east oil rich states, and the commodity currencies of Australia and Canada, with little whatsoever to do with the UK economy or market. Whilst UK fundamental news may have an effect in the index and drive it one way or the other, of equal importance will be latest commodity prices including oil, precious metals such as gold and platinum and industrial metals such as silver, which is why it is crucial that to be successful in ftse betting, you need to follow these markets just as keenly as the ftse index itself on a daily basis. So having seen how the FTSE 100 is far removed from simply being an indicator of the UK economy or UK shares, lets look now at how the index is constructed, managed and maintained on a regular basis, in what is in fact an ever changing environment for those of us betting on the ftse. Whilst many traders and investors are aware that the companies listed on the ftse 100 index change on a regular basis, few have any idea how these changes are managed or indeed why! To be successful spread betting ftse 100, you will need to understand how these changes are made, when they happen and why, so let me explain the structure of the index and how it is managed by its parent company. As outlined above, the ftse index is a constantly changing indicator, and every quarter a review takes place of the constituent companies with some leaving the index, and others joining to replace those that have left. This process takes place during March, June, September and December, every year. As we have already seen the index is based on the market capitalisation of the companies themselves, and this is the principle governing factor which dictates whether a company shall be included or excluded from the index, all of which is calculated using something called the ‘free float’ method. Free float methodology is now the most widely accepted form of best practice for index construction, and is used throughout the world on all the major indices such as the FTSE, STOXX, Standard & Poor’s, and Dow Jones. In simple terms free float is defined as that proportion of the total number of shares issued by a company which are freely available for buying and selling in the market. In other words it excludes all those government holdings, strategic holdings and other shares which are locked in and not available to the market. In the UK for the FTSE 100, the factor used is often called the free float adjustment factor, which represents the number of shares floated or freely available, as a percentage of the number of shares issued. This is then rounded up to the nearest 5% for calculation purposes. To calculate the index level for the FTSE 100 a simple formulae is applied which is as follows: FTSE 100 Index Value = Total sum of (share prices x shares issued x free float factor)/index divisor. The formula uses a divisor called an index divisor which simply links the index back to its original base year for comparison purposes over time, and in the case of the FTSE 100 the base value is 1000 which is where the index started when it was first created in 1984. This is calculated every 15 seconds during the ftse trading session. The next element you need to understand as a ftse trader, is that of market capitalisation. As explained previously, all the constituent shares are weighted to form was is called a capitalisation weighted index. In simple terms what this means is that each share contributes its market value to the index so that the larger the company then the greater the weight they carry as a result, and as we have already seen earlier, BP which is currently at number one in the index, carries a weight of 8.05% in determining the overall index value on a daily basis. In order to outline how all the above works let’s take a simple example and suppose we are developing a new index with two shares, Great Mining plc (GM) and Profitable Oil (PO) plc. Suppose that Great Mining plc has 1000 shares, but 200 of these are not freely available to the market, and similarly Profitable Oil plc has 2000 shares, with only 1000 shares freely available. Then the free float value number of shares for GM plc is 800, whilst for PO this is 1000. Next let’s assume the share price for GM is 120p and for PO is 200p, then the free float market capitalisation of GM plc is ( (1000 – 200) x 120) = 96,000 , and for PO plc it is ((2000 – 1000) x 200) = 200,000. If we then add these two figures together we arrive at our free float market capitalisation for our new index at 200,000 + 96,000 = 296,000, and as this is a new index we can now decide on our index divisor in order to reduce the index to a more manageable number, so in this case we could assume 1000 to start, as for the FTSE 100 and arrive at our index value for today of 296,000/1000 = 296. This in very basic terms is how the index is calculated using the free float method with weighted market capitalisation of the constituent shares, and in our simple example Great Mining plc would represent 32.5% of the index whilst Profitable Oil plc would represent 67.5%. On a simple share price comparison basis then the ratio would be 40%/60%, but using the above comparison provides a more balanced and weighted view of the index, which is why it is widely used throughout the industry. Finally let’s look at how the constituent shares are rotated on a regular basis following each quarterly review. Each quarter in March, June, September and December, the constituent shares are reviewed on the Tuesday evening at the close of business and are then ranked by full market capitalisation for all the main indices from the FTSE 100, to FTSE 250, FTSE SmallCap and finally the FTSE Fledgling. Any company falling to 111th position or below is automatically removed from the FTSE 100 and demoted to the FTSE 250, and similarly any company which rises above the 90th position or above is automatically added to the index. As the number of constituents for the index remains at 100 there is then a re balancing during the review process with the highest ranking ftse 250 companies entering the index as a result. This process also occurs throughout the other indices with different band levels for automatic entry and exit, with these set at 325 for automatic entry and 376 for automatic exit in the FSTE 250. As I hope you are beginning to see, there is a great deal of complexity to what superficially appears to be a very simple index, and to be successful in ftse betting, you need to understand how the index works, what are the constituents and how they are managed, and finally when the constituents change, as this will have an impact on the price quoted both immediately before and after these important quarterly changes. Finally, I hope that I have made the case that this key index is far from being an indicator of UK plc – it is not, and in order to trade this financial instrument successfully you will have to follow world markets in a great deal more detail, and in particular the commodities sector which dominate the index to such a large degree. I hope that the last few paragraphs have provided a solid introduction to the ftse 100 index, and perhaps given you a different perspective on this complex financial instrument which speculators and traders bet on daily, but few have any deeper understanding of the complexities which lie beneath the figure that we all follow so closely each and every trading day. As I have suggested, in betting on the ftse 100, we need to follow the broader markets and in particular those industrial sectors and associated commodity markets which can and do provide the drivers to equity and stock markets around the world. So having decided that you want to concentrate on ftse betting as your preferred financial instrument, what are the options for a ftse bet in the market, and how do the prices quoted relate to the FTSE 100 that we have looked at over the past few pages. This unfortunately is where most new traders get very confused, we we now start to enter the more complex world of futures and futures trading, which is very different from the share markets managed by the major exchanges such as the London Stock Exchange, and perhaps the simplest place to begin is with the LSE and the FTSE 100 index itself. The first thing to realise with the London Stock Exchange, and indeed with all major share markets around the world, these are unusual in that trading is based on real cash transactions. Shares are traded for cash and bought and sold accordingly, and this market is therefore often referred to as the ‘cash market’. However, all major indices also have an equivalent futures index also quoted and for London this is provided by the NYSE Euronext LIFFE ( London International Financial Futures Exchange – now part of the New York Stock Exchange ) where futures prices are quoted for the FTSE 100, varying both in price and spread from that which is quoted by the London Stock Exchange for the underlying cash market. So to summarise, we have two ftse 100 indices, firstly we have that which is quoted by the LSE, and based on the performance of the weighted share components, whilst secondly we have the LIFFE quote a ftse 100 future, which is derived from the cash market prices and hence called a derivative. It is this underlying derivative index for the FTSE 100 that you will be betting on whether you spread bet, binary bet or use a fixed odds approach to your betting. As a result many traders are confused as the two prices quoted are rarely the same, and can often differ by some way, and to confuse matters further, some of the spread betting companies include the word ‘cash’ in their products, adding further confusion for new traders. So how and why do we have this added level of complication to what is an apparently simple bet! – let me try to explain. As outlined above, the ftse index is the benchmark for a ‘cash’ market, and therefore as such any company offering a bet on the ftse 100, has to be able to hedge their bets in the market. In order to hedge their positions in the cash market they would need to buy or sell every single company within the index, clearly an impossible task. Therefore in order to allow them to hedge their positions they use the futures market. There is also another reason, and this is simply that the futures market updates more frequently than the cash market index. As you may recall, the ftse 100 cash index updates every 15 seconds, but for online spread betting, binary betting or indeed futures trading, this is far too slow, and as a result the futures index is used as it is updated second by second as the bids and offers come in from traders. The cash index does not update so quickly as it merely an indicator of the value of the top 100 companies and is therefore not a directly traded instrument, unlike a futures contract. Finally, there is in fact a third reason, which is simply that the futures markets are open for much longer trading hours, with most companies offering bets on the ftse from 07.00 am until 21.00 pm, extending considerably the trading hours of the cash market which only trades from 08.00 am until 16.30 pm each day. Now moving on from here, the next stage is a little more complicated I’m afraid, but at least we have established the fact that ftse betting is based on the futures market and not the cash market, although of course the former is derived from the latter as with all derivative markets. The question which everyone asks now of course is how do the financial spread betting companies ( and others ) calculate their daily quotes for the ftse 100 index? The index quote is based on the FTSE futures contract from LIFFE, and is then priced using two variable elements. The first element is based on a theoretical value of any future dividends which may be payable between the current contract date, and the expiry of the futures contract, with the second element being the cost of the carry for the ftse 100 contract over the same period. This adjustment is referred to as the ‘fair value’ and is then built into the price quoted by the company, whether on a daily basis or over a longer term. In essence this ‘fair value’ element actually describes the concept very well, as it is essentially compensation to sellers for the cost of ‘storing’ or holding the assets and accepting a deferred payment as a result, and is in effect the cash or spot price, plus the net cost of the carry to the delivery date. In order to try to explain this principle in more detail let’s look at a simple example which I hope will make this concept clear, and naturally as the contract moves towards expiry then this ‘cost of carry’ reduces to zero as a result. As you can see from the above the fair value element is built into the price and reflects the ‘compensation’ element outlined above.This applies whether the bet is for one day, one month, or one quarter. Finally it is also important to realise that the futures markets lead the cash markets, not the other way round, a common misconception for many traders, so for ftse trading you need to watch the futures market not the cash market. Finally a word about the contract periods that are offered for ftse betting. In general most of the spread betting companies offer the quarterly contracts which for the ftse are March, June, September and December, with many offering both daily and rolling daily bets. The difference between the two is that one expires on the day, whilst the other can be rolled over to the following day at a premium. Some of the terminology here can be confusing as many companies may also include the term ‘cash’, but the underlying principles remain the same – the price quoted is ALWAYS derived from the futures market for the ftse 100 contracts. Now that we’ve covered the basics of the FTSE 100 index, the relationship between the cash and futures market, and how contracts are quoted, it is time to consider the various ways we can bet on the ftse 100 index, and indeed many other indices from around the world such as the Dow Jones, the Hang Seng, and the Nikkei 225. In general there are four different ways to bet on the ftse index, which I will now cover in detail, and for each method will highlight the pros and cons which I hope will give you a flavour of each method, some of which are well established and others of which are relatively new. So let’s start with the most established of these, which in a way we have already covered, and that’s the futures market. The FTSE futures market is one I know well, as it is where I started my own trading career many years ago, and somehow managed to survive and tell the tale! At the time, online trading was not available, and all trades were placed by phone, direct to the broker on the floor of the exchange who confirmed and placed the order. As you can appreciate prices move very quickly and on many occasions the prices had moved significantly on my screen by the time I had placed my order with the floor broker. All very scary and not to to be recommended, but it was a great introduction to trading which sadly is little used in today’s electronic world. One of the big advantages of the futures market over the others we will cover, is that trading is conducted in a highly regulated way, where buyers and sellers are matched with each other by the central exchange, and trades are executed either on the floor of the exchange or via electronic trading systems. Each exchange develops its own products which are then bought and sold by the market participants in a regulated and fair trading environment, very different from the OTC ( over the counter) products which we will look at shortly. The central exchange for trading the FTSE 100, along with many other principle indices is now known as NYSE Euronext, having previously been known as Liffe and based in London, but recently having been acquired by the New York Stock Exchange. The NYSE exchange quotes on a vast number of futures of which the FTSE future is just one. Being an index, there is no physical delivery and the contract is settled in cash. The contract is quoted for March, June, September and December and trades from 08.00 am ( London time) until 21.00 pm. The contract value is £10 per index point so if you buy one contract and the index falls 100 points in the trading session, then your position would be -£1,000 so take care! 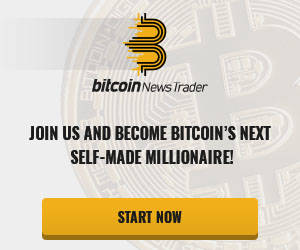 You can make money very quickly trading this instrument, and lose it just as fast! Remember also that futures contracts are highly leveraged instruments, and as such the exchange will require you to deposit a performance bond, which is effectively your guarantee that you will honour your commitments under the terms of the contract. Just like a margin call, you may receive a request from the exchange to top up your bond, depending on the volatility of the instruments you are trading, and failure to respond will result in your contracts being closed out with no notice. However, this is an excellent way to trade the ftse, as long as you understand the risks involved, and provided you manage your risks accordingly, would be my preferred way of ftse trading primarily because this is a regulated market, unlike all the others methods. Since the formation of the first spread betting company IG Index in the late 70′s, and it’s sister company IG markets, the spread betting sector has developed and expanded and now covers a huge range of markets and financial instruments. Amongst these instruments is of course the FSTE 100 index, which is one of the most popular and liquid financial instruments for betting, both by retail and also professional traders. The concept of spread bet trading is very simple, but like all trading carries a high level of risk with the prospect of both unlimited profits as well as unlimited losses! The essential difference between trading using a futures bet as opposed to a spread bet, is that with the spread betting company you are trading against the company itself as all the products offered are called OTC ( over the counter ). In other words these are products that you may only trade through the broker and are not traded on a regulated exchange. This is always one of the major criticisms levelled at both the spread betting and forex brokers, who are constantly accused of trading against their customers, taking out stop positions and manipulating their contract prices. Whether any of this is true or not, the fact remains that it probably does happen, and in fast moving markets you may be subjected to unfair price action and triggering of orders. The only way to avoid this is to trade in the futures market as outlined above, where all trading is conducted through a regulated exchange. Placing a spread bet on the ftse 100 index is simplicity itself, and with an online financial spread betting account, your trade is executed in milliseconds. For each trade you will be quoted two prices, a bid and offer. For a long bet it will be at the offer price, and for a short bet it is the bid price, with the difference between the two being the spread and the profit for the spread betting company. Typically you will be able to open a ftse bet around a minimum of £1 per point, ( currently available from Spreadex) whilst Paddypower Trader and IG index both offer ftse betting at £2.00 per index point. 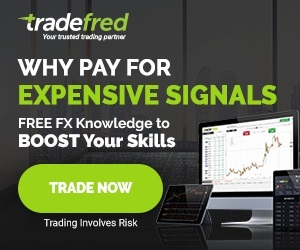 Naturally this is an excellent way to learn to trade, using the minimum per point, but remember that your downside risk is unlimited, so any spread trading strategies require good risk management with appropriate stop losses. Binary betting is a relatively new concept in the financial trading world, and one which is now gaining in popularity with new binary betting and binary options companies entering the market, expanding the products available as a result. Binary betting is very different from spread betting, and in many ways is ideally suited to the novice or new trader, as the downside risk is always known before you enter a trade, making this a very safe way to bet, and very different from spread betting where your risks are unlimited ( unless of course you trade with a stop loss, which should always be the case ). The flip side to this of course is that your profits are also known and capped before you enter the binarybet. In simple terms binary betting works on the principle of a yes/no scenario, with a binary bet priced between zero and 100, and in many ways the binary system is simply a different way of expressing a bet, which traditionally would have been priced in fractional terms or as a decimal bet. The reason that the binary system is increasing in popularity is that it is simple to quickly work out your profit or loss, your risk on each bet is always known and limited, and finally you have the option to close out ant position early, either to prevent a further loss, or to take your profits early. This is very different to the fixed odds concept of a horse losing a race where you would like to close out your bet and prevent further losses!! Well in binary betting this is the case, and is one of the big attractions. 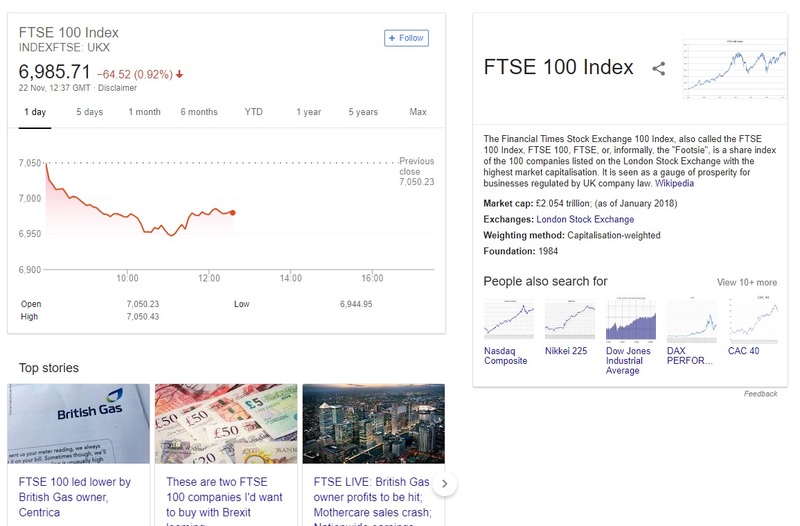 If you would like to know more about binary betting I have a separate site which explains all that you need to know in order to get started, but for now let’s look at a quick example using the ftse 100 which is one of the most popular indices for a binary bet. Let’s suppose we expect the ftse 100 to close higher at the end of the day, then we log into our account and look for the bet “FTSE 100 index will end up on the day” The price quoted may look something like this: 46 – 48 which in essence is saying that the market is undecided at present and there is an equal chance that the index may go up or down. If the quote was at 20 – 22, then the odds, or the chances of the event happening are low, in other words the binary betting company does not believe the event will happen, ( in other words these are long odds) whilst a figure of 82-84 would indicate that there is a good chance that the event will happen, in other words very short odds. Now of course you are also able to both buy and sell the bet. If you agree with the statement ( which in this example is that the ftse100 will close higher by the end of the day ) then you would buy the bet, whereas if you disagree with the statement, then you would sell the bet. As a buyer of the bet you would buy at the higher price and sell at the lower price, in the same way as for spread betting. However this is where it now becomes very different. Suppose we decide to buy the bet in our example at 48, as we think that the FTSE 100 will end the day higher, and we buy at £5 per index point. Our downside risk on this trade is therefore 46 x 5 = £230 which is our maximum loss if the FTSE closes lower at the end of the day. We check back later in the afternoon and find that the index has indeed risen as expected and the quote is now 88 – 90. We decide to close out our bet before expiry at the end of the trading session and sell the bet at 88 for a profit of 88 x 5 = £440. Had we waited until the end of the day, and left the bet to expire, then the closing price would have been 100 ( as for all binary bets) and our profit would then have been 5 x 100 = £500. This is the beauty of binary betting, and perhaps even more so when we are on the losing side where we can prevent any further losses by closing out early. For ftse betting, the binary betting companies tend to offer shorter term bets from a few minutes, to hours and days, and up to a maximum of a month, and in addition some now offer a rollover facility so that you can extend the trade into a following period. In addition to all the other benefits outlined above, the simplicity of the quote system allows you to work out your profit or loss almost instantly which is a great feature in fast moving markets. As a footnote, always check what happens if the ftse index closes at the same price as the open! – generally this is considered a win bet as the closing price has not closed below the original. Fixed odds betting is very similar to binary betting in many ways, as the basic concept is that of a fixed risk to the downside and capped profits to the upside, so it is an excellent way to bet on the ftse for novice traders and speculators. Where fixed odds betting differs from binary betting ( although the two methods are now overlapping in many areas ) is that fixed odds bets tend to be quoted in different ways, either using traditional odds, decimal odds, or indeed in some cases binary odds! As with binary betting you can close your bet out early with a fixed odds bet, either to take profits early, or stop further losses. Where fixed odds does differ from binary betting is in the type of bets available, where you will come across bets such as once touch, double touch, barrier range, expiry range, and super double. All of these are various types of bet where a particular outcome is expected, such as with the one touch bet where a price is set at which you expect the index to reach within a specified time. If correct then your bet is successful, and visa versa. Barrier range and expiry range are excellent bets where you feel the market will trend sideways for a time, with low volatility. All the major fixed odds companies offer ftse bets, and if you would like to learn more about this form of betting then I have a site which explains all you need to know about fixed odds betting.